Video Tutorial Modeling in 3ds Max. In this video course dedicated to 3dsmax is analyzed the modeling techniques for OpenSubdiv and CreaseSet. There are 30 video mp4 1680 x 1050 for windows and Apple. The master has a duration of 6 hours, 15 minutes. 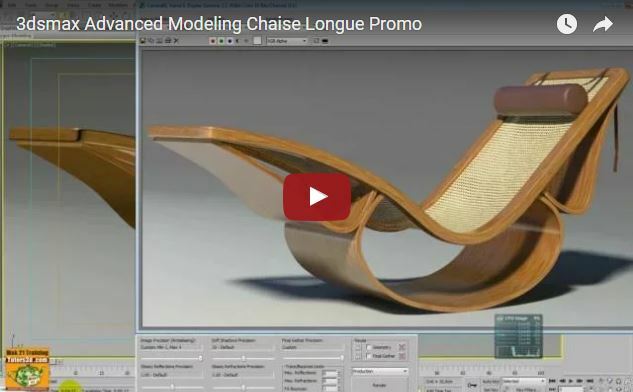 In this video course dedicated to 3dsmax They analyzed the modeling techniques for create a Chaise Longue. There are 23 video mp4 1680 x 1050 for windows and Apple. The master has a duration of 3 hours, 10 minutes.